Fans of strategy video games were ecstatic when developer Firaxis announced that a new Civilization game is heading our way and will be released in October this year. It had been a long time coming, with Firaxis having released the earlier Civilization V game back in 2010 and also giving gamers a taste of sci-fi strategy with 2014’s pretty good Civilization: Beyond Earth. And there’s no doubt that the Civilization series enjoys legendary status amongst PC gamers, and renowned designer Sid Meier is also something of an industry icon, so clearly expectations are sky-high for this upcoming Civilization game. 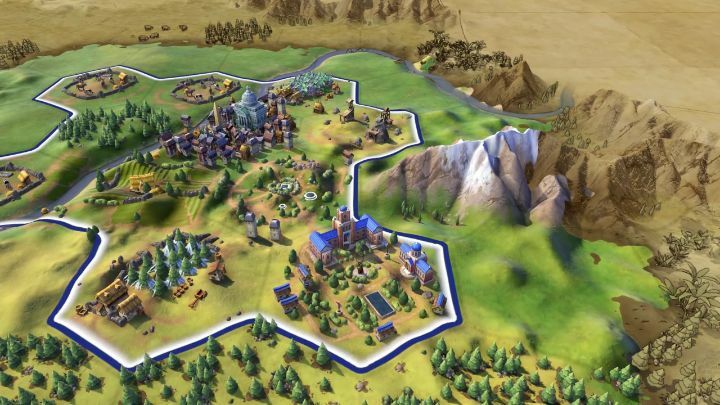 One of the major gameplay features of Civilization VI no doubt is the new “city districts” concept, and the way in which individual buildings are now built on specific tiles on the map. Because in the past there was just one city tile and buildings were clustered on it, also the actual terrain mattered very little when it came to building city improvements or even Civilization’s fabled “Wonders of the World”, monuments that grant a civilization large bonuses. In past games one could build the Colossus of Rhodes, the Pyramids and other wonders and buildings in the same city without regard for the surrounding terrain, but this is no longer the case. For instance, in order to build the Pyramids a map tile of type desert or plains is required. All in all, the way in which Civilization VI unstacks cities to allow for a more complex and richer gameplay experience could certainly make this new Civilization entry one of the best to date, although we’ll have to wait until October this year to find out how good Firaxis’ latest strategy outing will truly be. Note: Civilization VI will be released on October 21, 2016. Available on PC.